Superstar Rajinikanth's Lingaa advance booking started in the multiplexes all over the world and the tickets have been sold out within an hour for the opening weekend. After 14 years, the superhit Padayappa combo of KS Ravikumar and Rajinikanth is back with Lingaa. The movie is releasing with huge expectations also for its leading cast and crew including Anushka, Sonakshi Sinha, AR Rahman, DOP: Rathnavelu, Stunt: Lee Whittaker, Editor: Samjith Mhmd, Santhanam and others. Lingaa is releasing in almost all the theaters in Tamil Nadu on Thalaivar Birthday, 12th December, 2014 in Telugu, Tamil and Hindi languages. Superhit Lingaa audio has taken listeners and fans by storm like a slow poison and now whole world is waiting to see Rajinikanth on screen. One day to go for Lingaa. Overseas premiers are expected to start from tomorrow midnight i.e., 12 AM EST. Being a biggest release with 5000 screens worldwide, Lingaa is touted to top all the Chennai BO records. The advance bookings for the film have received fantastic response with tickets being sold out. In several multiplexes, bookings have been full for first weekend (till Sunday) and many theatres are expected to open reservations by Wednesday or Thursday. Considering the tremendous response the bookings for the film has received, one can say for sure that "Lingaa" is all set for huge opening on the first of its release and is likely to create new records in terms of collections. The Rajini-starrer is set for a grand release worldwide and it will be shown in over 3,000 screens. In Tamil Nadu alone, the film is expected to be released in over 600 screens and is likely to beat "Endhiran," which was released in nearly 550 screens, according to reports. "Lingaa" screen count in Kerala stands at over 225. The commercial entertainer has surpassed "Jilla" screen count, which amounted to 200. "#Lingaa carpet bombing in Kerala 225 + screens Every 5 kilometers in the state there will be a screen showing it!," tweeted entertainment industry tracker Sreedhar Pillai. 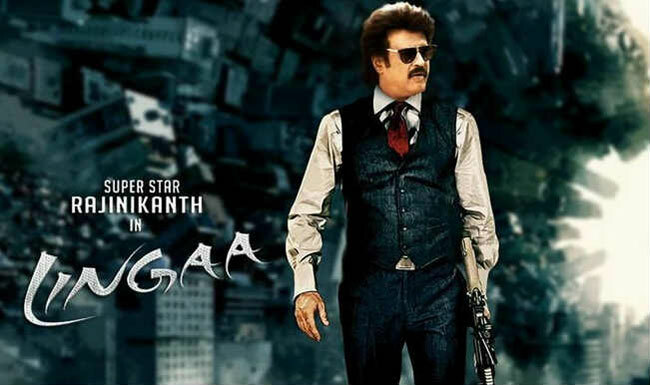 In the United States, "Lingaa" is set for a record release in more than 300 screens including Tamil and Telugu versions. While the Telugu and the Tamil version are hitting screens on Friday, the release of the film's Hindi version has been delayed. It is not yet known as to when the Hindi version of "Lingaa" will be out in theatres. The film is a quick project completed in just six months. Directed by KS Ravi Kumar, "Lingaa" is touted to be a complete commercial entertainer with all the key elements like action, romance, punch dialogues, comedy and songs. After four years, Rajini will be back in his stylish avatar and will be entertaining fans in a dual role in "Lingaa." While one of the characters is set in pre-independent era, the other one will appear in the post-independent era.